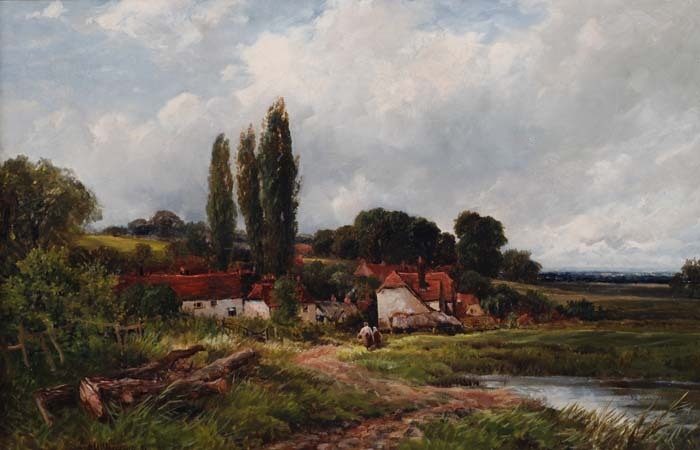 Edmund Wimperis 1835 – 1900 was born in Chester. He was a landscape painter and watercolourist, he worked as an Illustrator for illistrated London news and many other magazines. Gradually he took up painting in oil and watercolour. He was fond of black, windswept moorland scenes and expansive landscapes.